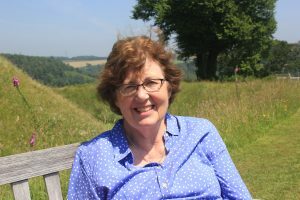 It was with great sadness that we learned that Elspeth Richards, Futures for Women Trustee and former Chair, had passed away at her home on Monday 7 August. 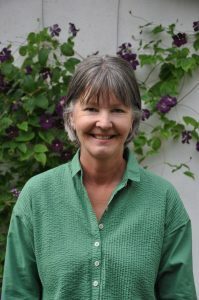 Elspeth became a Trustee of FfW in 2005 and held the position of Chair between 2011 and 2014. Whilst in the position of Chair she worked closely with our current Secretary, Jane, during her induction period. Elspeth also organised our 2013 fundraising literary lunch in Bruton where Award-winning Biographer, Critic, Broadcaster and Novelist Victoria Glendinning came along to deliver her talk “On Women and a Few Men”. Elspeth spent her childhood on a hill farm in rural Wales. This gave her a life-long love of the countryside. At 18 she went to study drama at the Guildhall School of Music and Drama in London. After graduating she taught English and Drama in a range of secondary schools in both the state and independent sector in London and the West Country. Much of her more recent work was with newly qualified teachers who frequently develop voice problems early in their careers. Elspeth helped professional voice users with presentation and vocal skills. 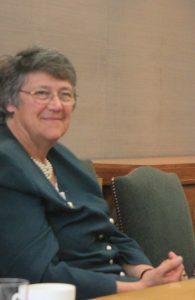 She was also a Diocesan Voice Consultant and ran voice workshops for newly ordained clergy, an increasing number of whom are now women. As the mother of two daughters, Elspeth believed that educated and qualified women are valued in the work place, in the community, and that they are a powerful influence in their families. She therefore became interested in the work of FfW precisely because we help women to fulfil their ambitions by completing their courses and becoming self-supporting. In this regard Elspeth took a special interest in selecting our candidates for interview and was a member of our short-listing panel. Her contributions to our discussions were always informed, perceptive and constructive. Elspeth also secured, through her son Simon, the invaluable support of ING in making rooms and refreshments available for our meetings in London. Elspeth’s input to our Trustee meetings will be missed greatly. Our thoughts are with Elspeth’s husband Dan, and their family and friends, as they adjust to life without her. Our Trustees’ report and accounts for the financial year ending 31 December 2016 are now available for download. We have just held our June set of interviews and awarded loans to five inspirational women. The first is undertaking an MSc in Criminology and Criminal Justice at the University of Oxford, as a foundation for her planned career as a criminal Barrister. Our second grantee is a former professional actress who is now undertaking a Postgraduate Diploma in Psychodynamic Counselling. We also awarded a loan to a student of Contemporary Crafts who will shortly be moving to Edinburgh College of Art to take up her place on an MA Glass degree. Our fourth grantee is working as a Research Scientist in planetary physics but is due to return to university to study an MSc in Advanced Mechanical Engineering in order to pursue a career in the renewable energy industry. Finally we met a musician studying a DPhil in Music at the University of Oxford where she is researching how contemporary opera is being shaped by digitization. Yet again Trustees were delighted to be able to assist such dedicated and hard-working women attain their chosen career. Our Annual General Meeting for 2017 was held once again in the magnificent Pavilion Suite in PricewaterhouseCooper’s office in More London. Our thanks go to Emma Whalley Hands for arranging the meeting room for us. After the business of the meeting had been concluded AGM Chairman Lady Appleyard paid tribute to retiring Trustee, Karen Goldie Morrison. Karen has served as a Trustee on Futures for Women for 7 years and during that time has worked with two Secretaries to improve administrative efficiency of the charity, arranged complimentary meeting space and donated office equipment. Following her retirement Karen will remain a member of Futures for Women but will be spending more time with her new grand-daughter. International Women’s Day – an annual world-wide event to celebrate the social, economic, cultural and political achievement of women – takes place on 8 March. This year the campaign theme is #BeBoldForChange – to help forge a better working world. The work of Futures for Women – giving interest-free loans to women to help with the costs of further education and training – could not be more relevant to this year’s campaign. After graduating from a wide range of post-graduate degrees and other types of training our grantees go on to forge successful careers in sectors such as medicine, architecture, journalism, environmental protection and law. But we are oversubscribed with applications and can only assist 10% of the women that approach us for a loan. And please consider supporting the work of Futures for Women.